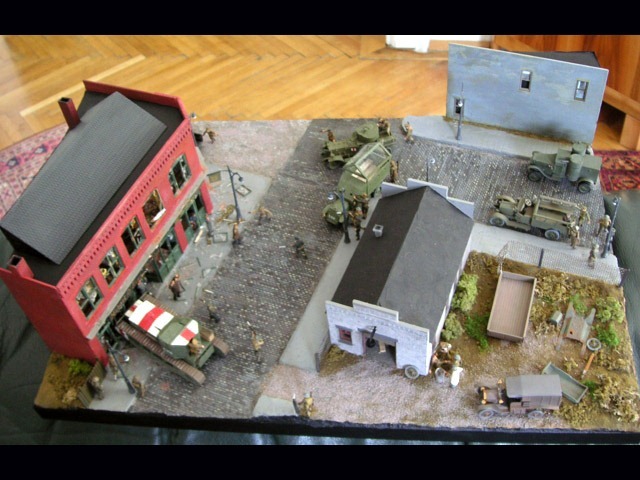 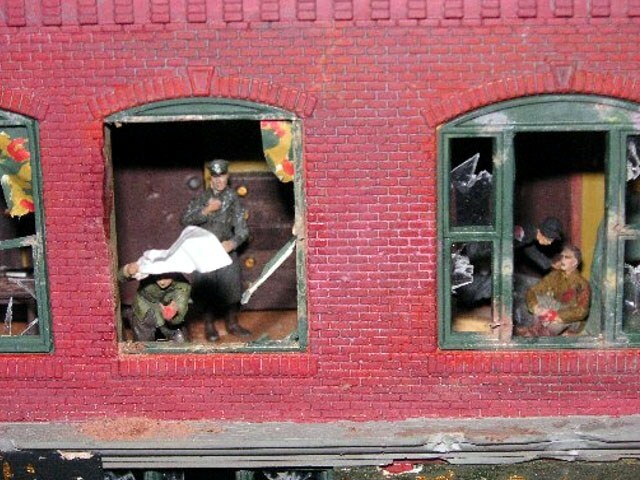 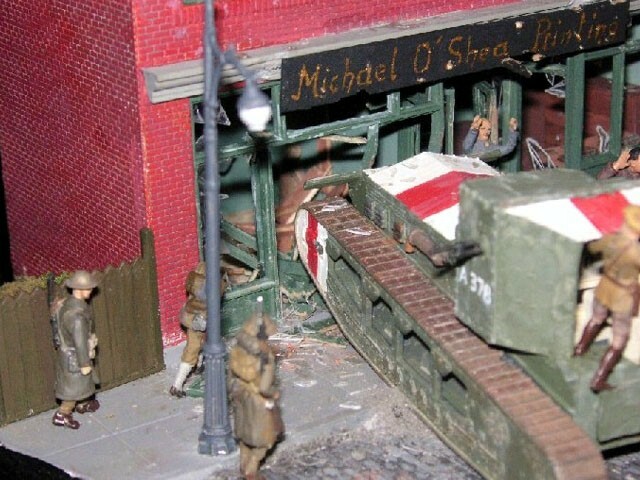 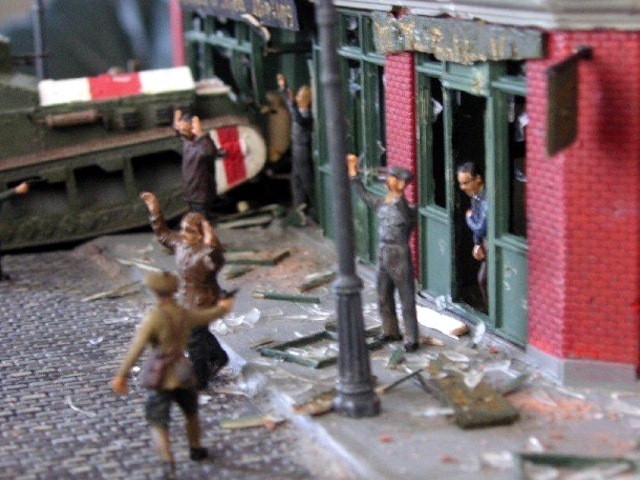 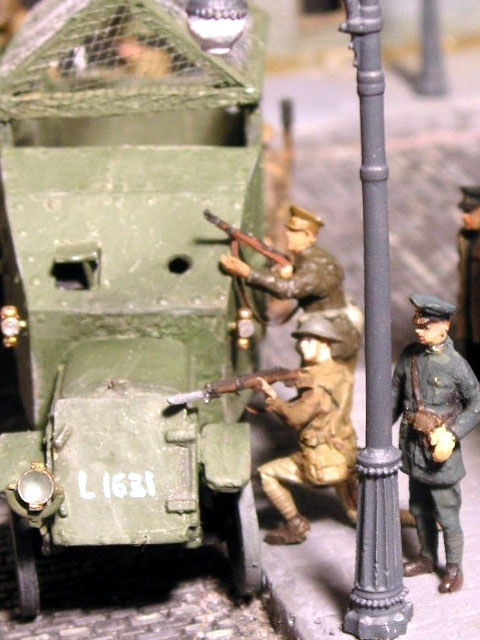 The diorama shows the end of a siege of Irish Republican fighters by British security forces sometime around 1920. 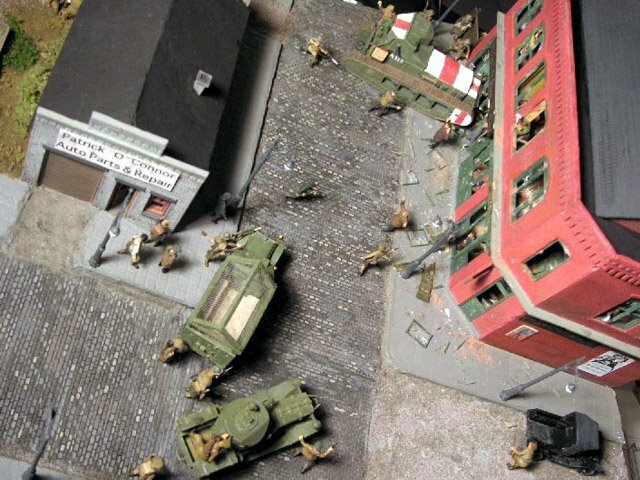 The IRA men are leaving their shot-up stronghold with their hands up while English soldiers and RIC and auxiliaries, having surrounded the building, take them prisoner. 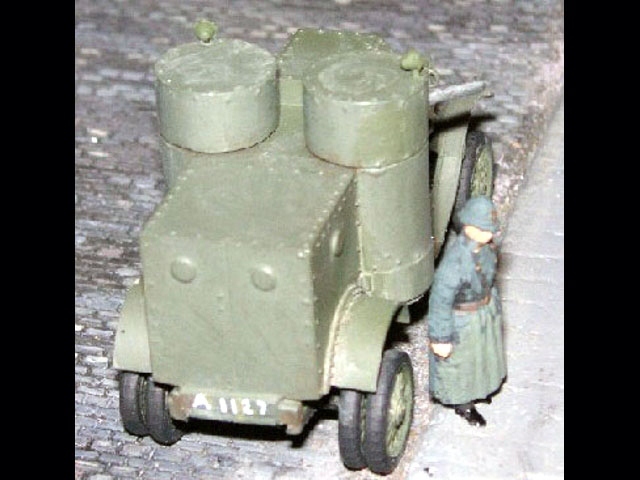 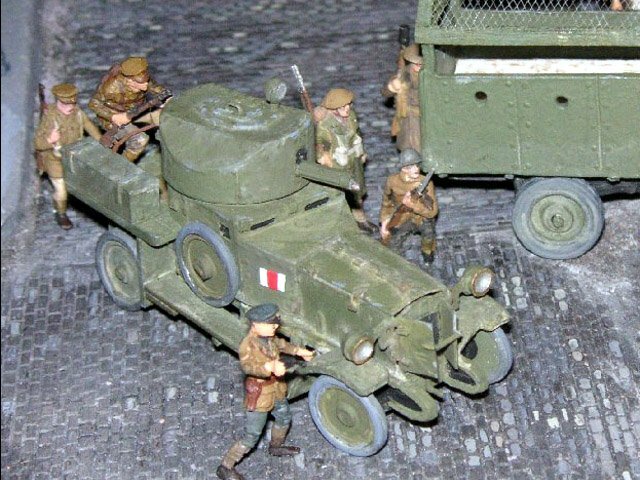 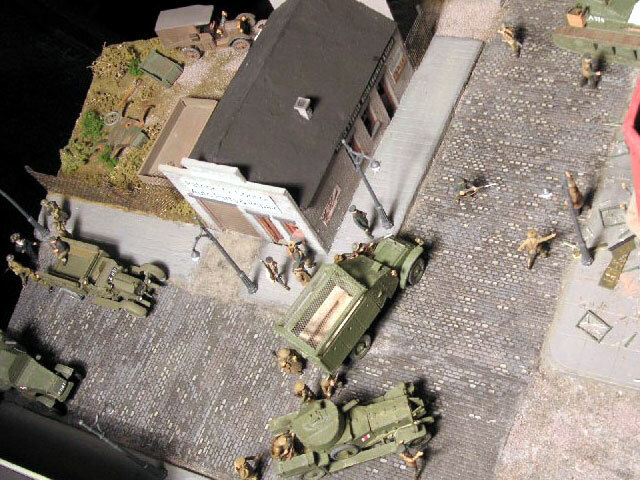 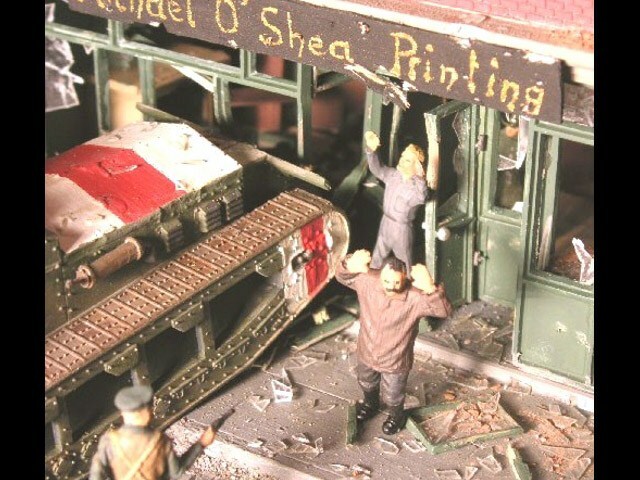 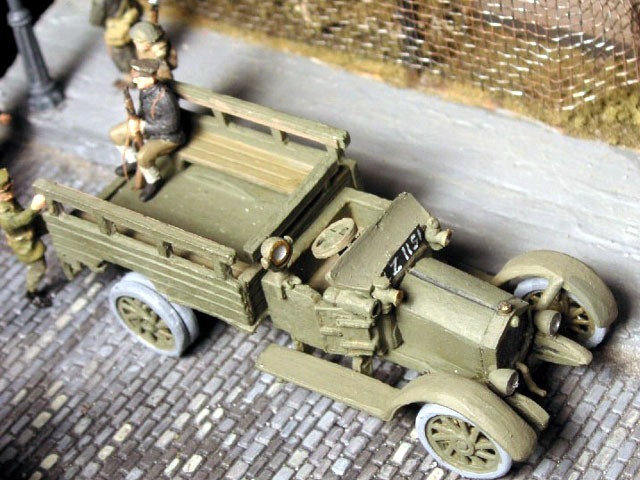 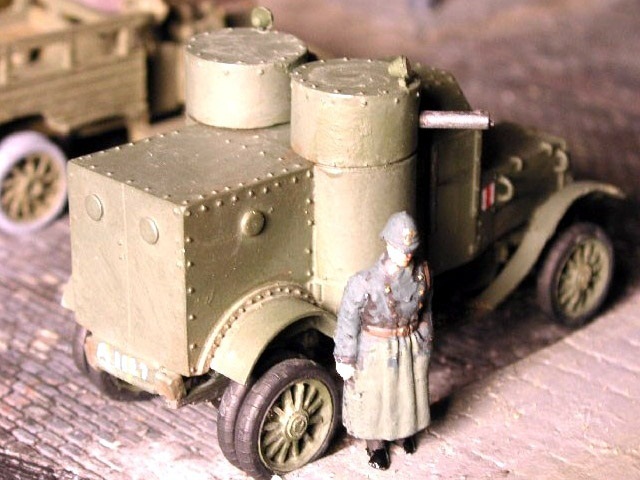 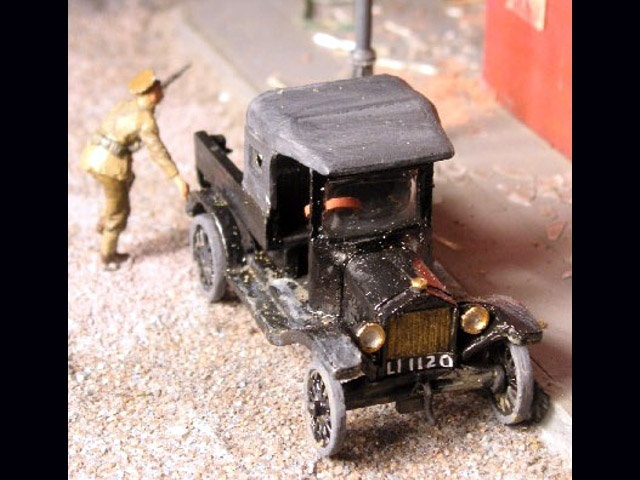 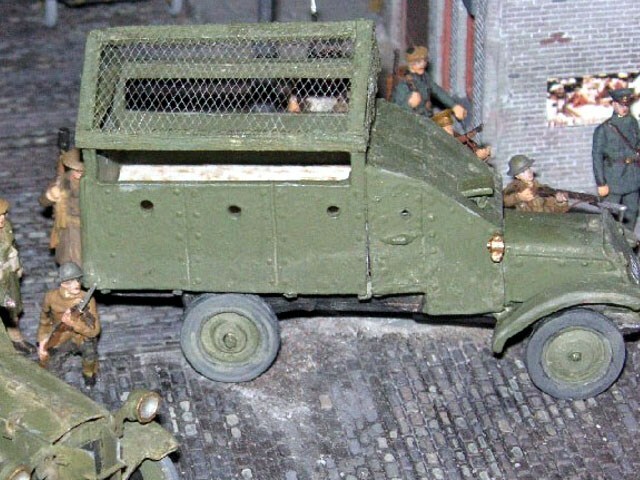 Most vehicles are somewhat basic Reviresco metal models, the Whippet is Emhar and the Austin armoured car is by Modelkrak. 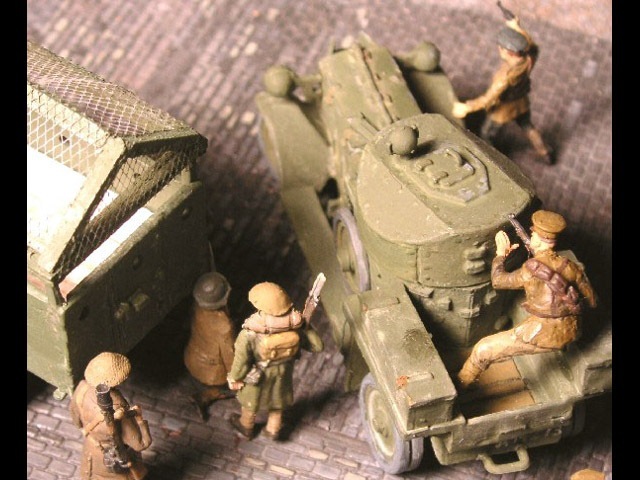 The figures are from a variety of ranges and sets, including Preiser WWII Germans remodelled into WWI Brits. 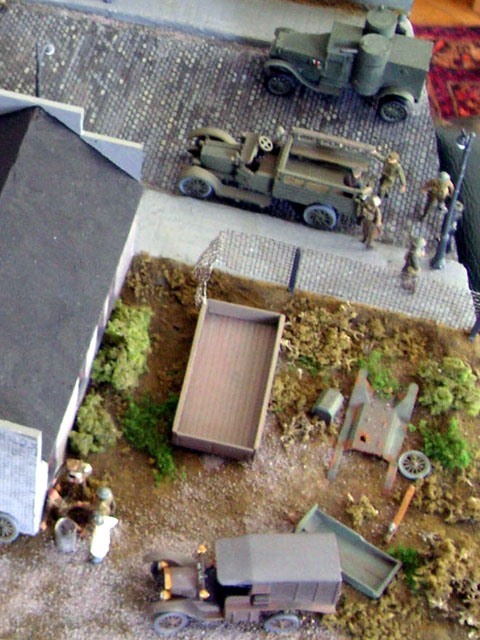 The building is a Heljan office building which anyway fits rather into a 1/72 world than HO.